Whenever we talk about fashion, latest trend and glamorous look, the only image that build in our mind is a skinny girl with so much make-up wearing, walking on a ramp. It’s a huge dilemma of our society that designers only love to portray their designs using smart and zero size models, they total ignore the existence of plus size women. 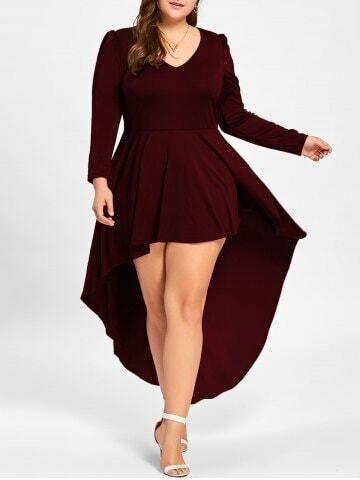 There is good news for all those women who have a plus size, DressLily is an online shopping platform who especially make dresses for such women. Dress lily is not only offering a huge variety of classy and mesmerizing dresses for women but also targeting men and kids. You get each and everything which is related to the latest fashion and unique style. The reason which makes DressLily unique from other online shopping platform is that they launch a sober yet awesome collection for each festival according to the theme and need of the occasion. The selection of colors, fabric, style is always up to mark that the buyers tend to buy their desired products without giving a single thought. They keep coming with more and more new collection with a huge sale so that everyone could get benefits. The designer keeps in mind to make a unique design and cut of each dress following a lot of small details to make a product a fashion statement so people love to follow them. Dress lily is a complete store for all the family members. So, what are you waiting for? Log in to the website and re-do your wardrobe to become your own fashion model and inspire the world.